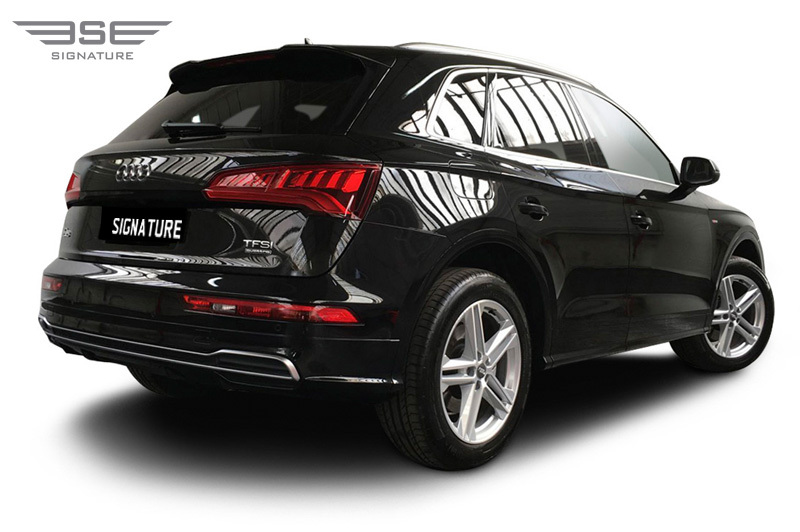 If you are looking to rent a premium SUV in the UK then our Audi Q5 is a real contender. This rental 4x4 is a premium SUV. 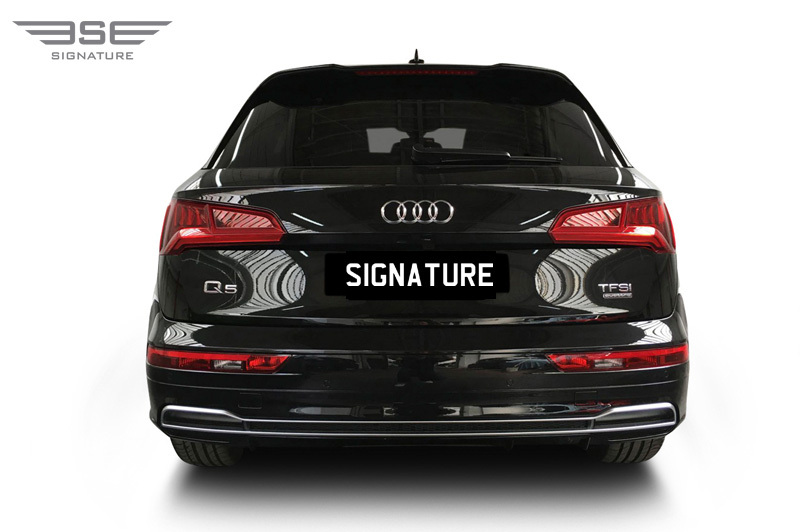 It is refined, stylish and a totally multi-purpose vehicle that comes packed with technological features. Our Q5 rental 4x4 is sleek in design and very desirable with its Coupe-like appearance. 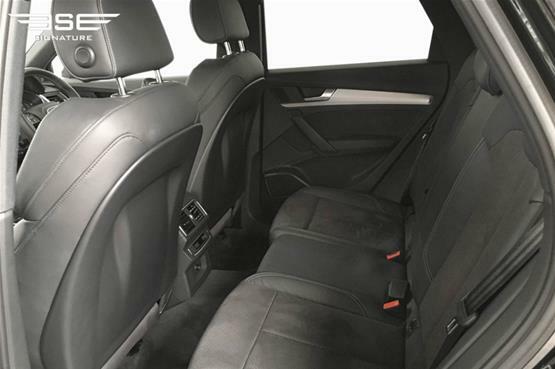 On the inside, it is very spacious and offers its driver and up to four other passengers a luxurious and comfortable interior while enjoying an elevated position and plenty of room for their luggage. 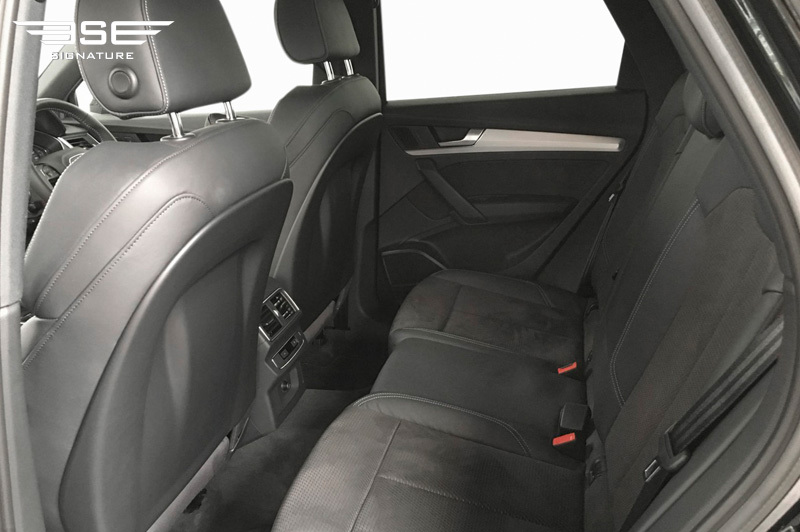 The interior is packed full of fine materials with high-quality finishes to ensure you have a comfortable journey. This New style Audi Q5 Quattro is available to rent in the UK and is a beautifully refined 4x4 with a high level of stability, precision and ground clearance thanks to the air suspension system giving a smooth ride, even on uneven roads or on a motorway cruising at high speed. 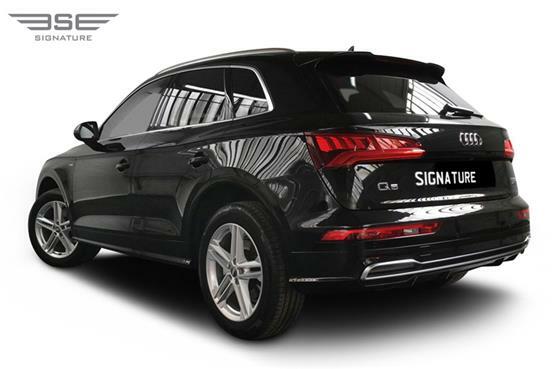 This rental Audi performs well in all situations providing an extremely enjoyable rental drive. 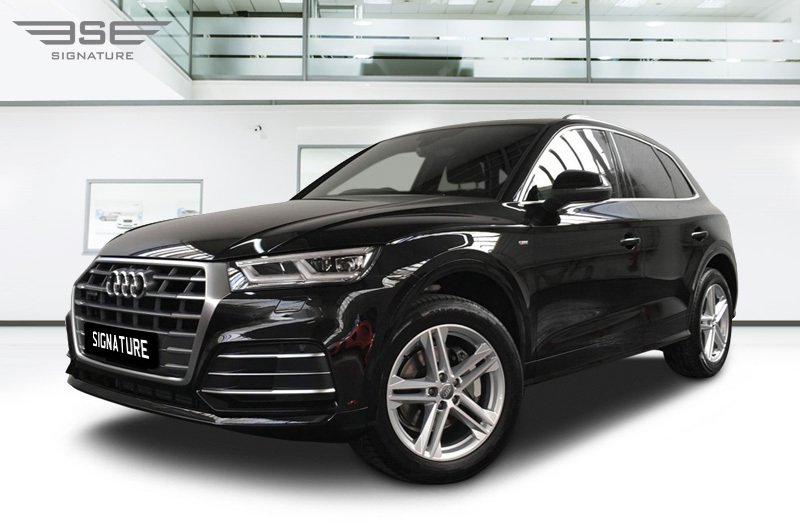 This model has also been redesigned in lightweight materials making it more agile with sportiness provided through its powerful 2.0 TFSI engine, and although an SUV it is truly exciting to drive. The Audi Q5 features a CD player with MP3 compatibility, as well as an SD memory card reader. Audi has paid attention to safety features. 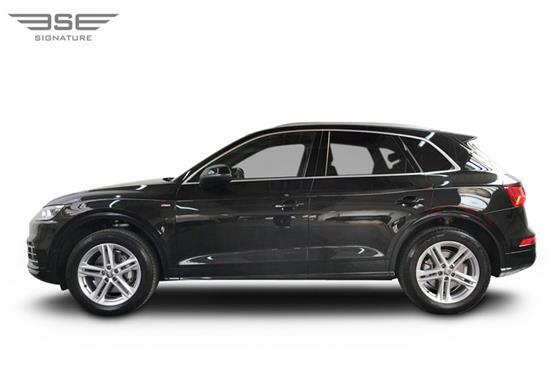 The Audi Q5 includes options like electronic rain sensors, bright halogen headlights as well as daytime running lights. 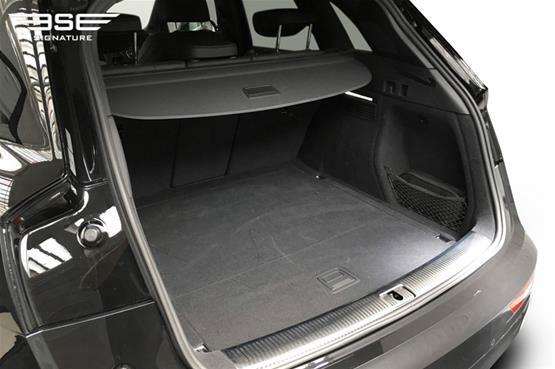 Full-size front, side and head-level airbags are present for both passengers. 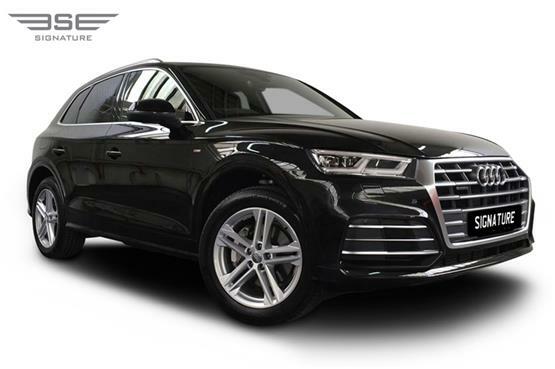 The Audi Q5 is equally comfortable in towns as it is in the country and being a Quattro with full four-wheel drive, there are few limits to what it can be used for, whether business car rentals, school runs, active pastimes or family holidays. The famous Quattro, on which Audi has built its high tech corporate philosophy, comes from a humble military vehicle, the four-wheel-drive VW Type 183, called the Iltis. Engineer Jörg Bensinger was in Finland testing several vehicles. The Iltis was far quicker and better controlled than every other car in the snowy tests despite having a lot less power. 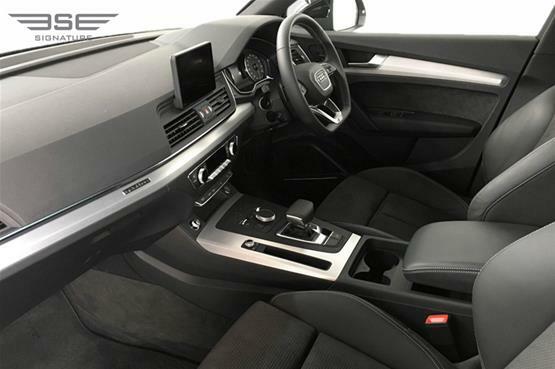 His idea to put its four-wheel-drive system in an Audi 80 would become the first lever Audi Quattro four wheel drive system. 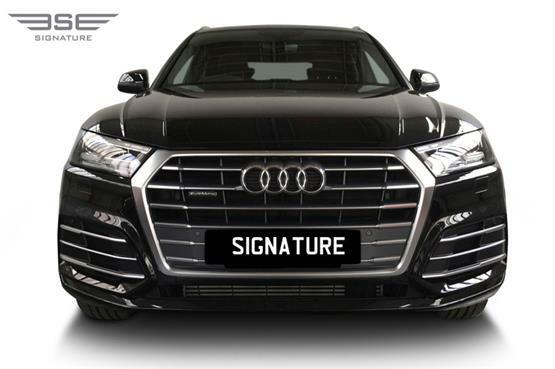 Just as the first Audi Quattro was being released for sale the World Rally Championship was adjusting the rules to allow all-wheel-drive cars. 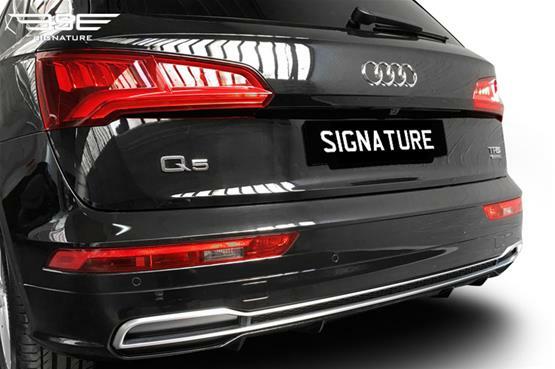 Audi entered its Quattro beasts leaving the competition way behind as it turned out to be a massive advantage. The amazing Audi Quattro's went on to win numerous rallies and the driver's championships.